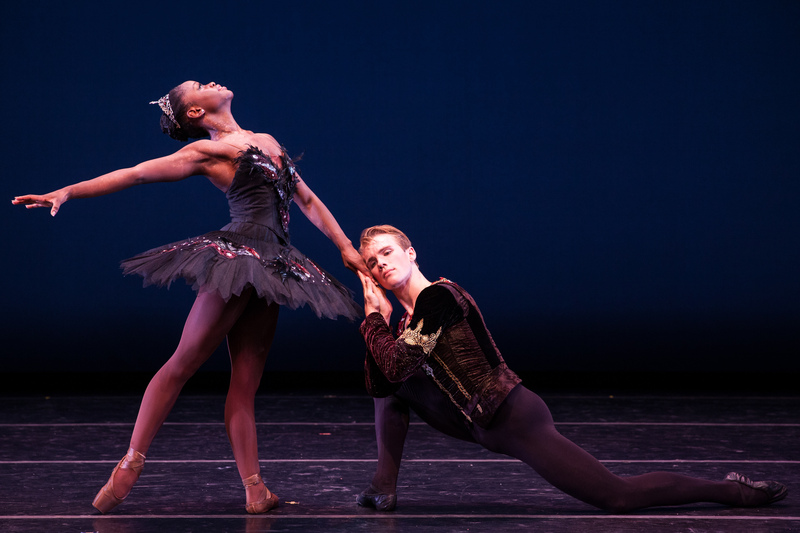 Michaela DePrince and Sam Wilson of Dance Theatre of Harlem. Photo by Matthew Murphy. After posting my interview with the great American ballerina Virginia Johnson (now artistic director of Dance Theatre of Harlem) on DanceTAbs, I heard from the young dancer Michaela DePrince. Ms. DePrince, who danced with DTH for a year, has since moved on to Dutch National Ballet’s junior company, based in Amsterdam. As many of you know, Ms. DePrince was born in Sierra Leone, under very difficult circumstances in the civil war there. She lost her parents at a very young age, and saw some horrific events while living at an orphanage, including the killing of her pregnant teacher. Adopted by a New Jersey family, she has thrived. She discovered her love of ballet early, and went on to study at the Rock School in Philadelphia, and then the Jacqueline Kennedy Onassis school (affiliated with ABT) in New York. A few days ago, we chatted over email about her life, her training, and her career so far. The issue of racial inequality in ballet inevitably came up. It is her feeling (echoed by many others) that artistic directors are wary of taking non-white dancers for fear of upsetting the homogeneous “look” of the corps de ballet. It’s interesting, though, that in some countries, such as Cuba, this does not seem to be an issue. One of the great pleasures of seeing the Ballet Nacional de Cuba a couple of years ago at BAM, was seeing how mixed the ensemble really is, and what vitality this produces onstage. The company reflects the country; this, automatically, makes ballet seem of our time. You can read my interview with Michaela de Prince here.